For decades, window displays have been a staple of many downtown retailers’ marketing strategies. For some retailers, windows are a place to put their best and newest merchandise on display so passers-by will window shop and hopefully come inside. 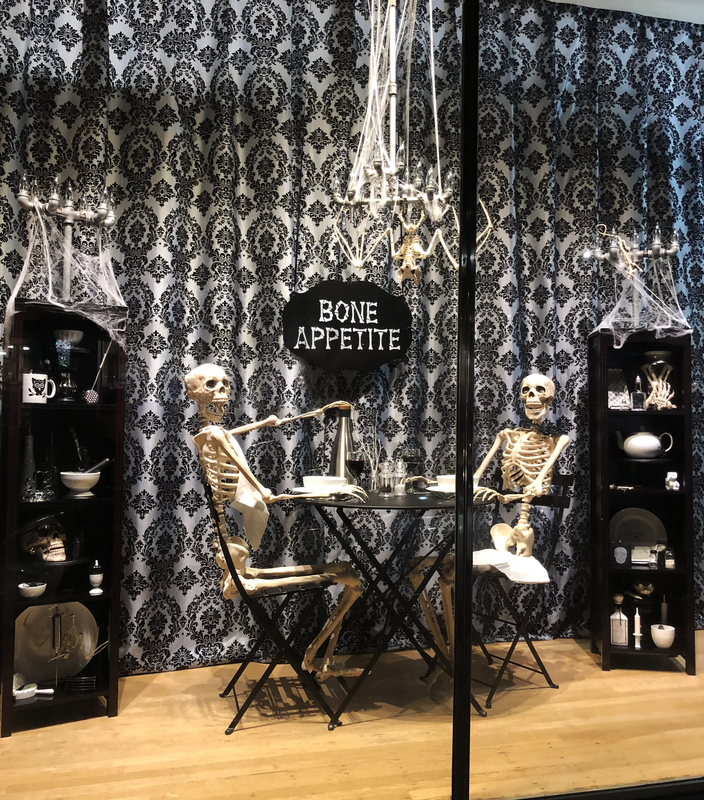 Other retailers, such as Macy’s, whose legendary Christmas window displays draw thousands of visitors each year, capitalize on their creativity to pique the interest of potential customers. 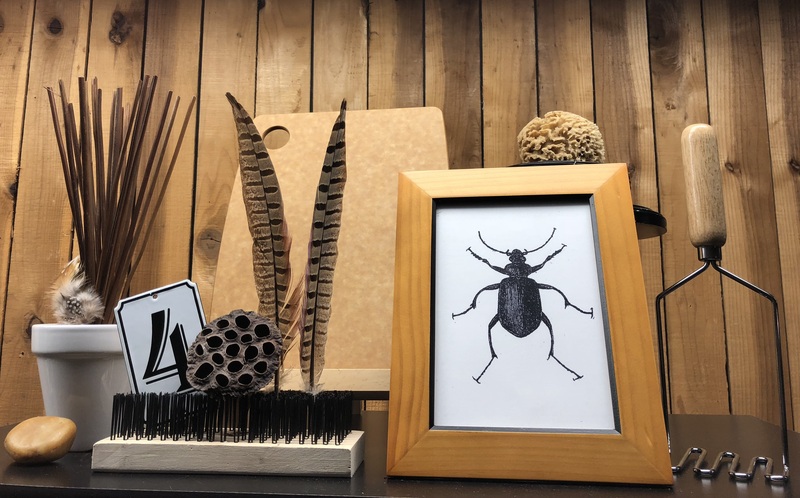 Among home improvement retailers, Cole Hardware, with six locations around San Francisco, is creating its own window display legends. The creative mind behind them is Noelle Nicks, known around the store as visual merchandising manager and curator of all things hardware. 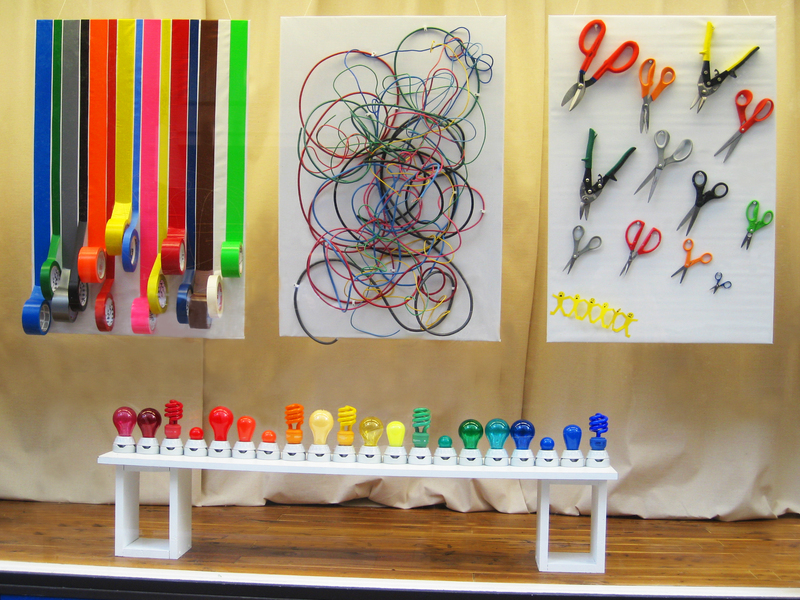 She transforms everyday hardware products into stylish, witty works of art to adorn the front of its stores. 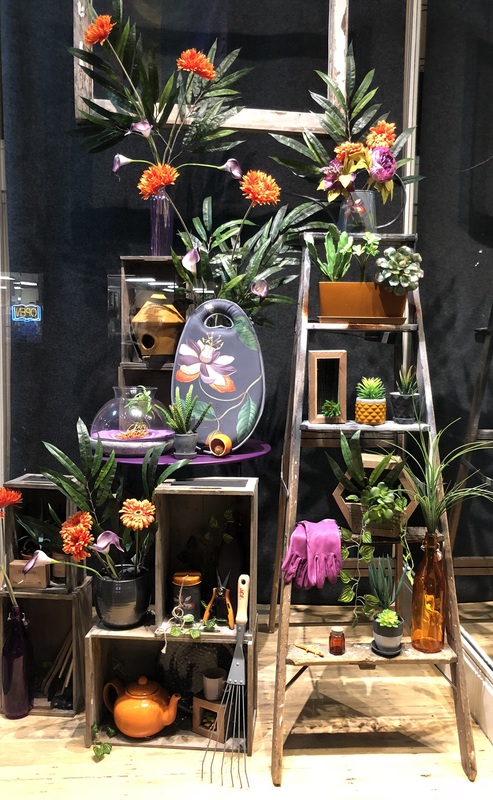 Nicks explained to Hardware Retailing what it takes to create window displays that keep customers coming back again and again. In addition to a strong imagination, effective displays require strategy and attention to detail. Read her comments and check out photos of some of her creations. 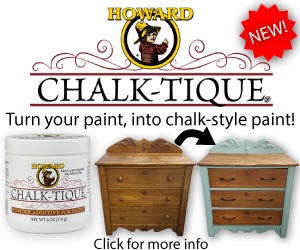 For more, visit the store’s website, colehardware.com. 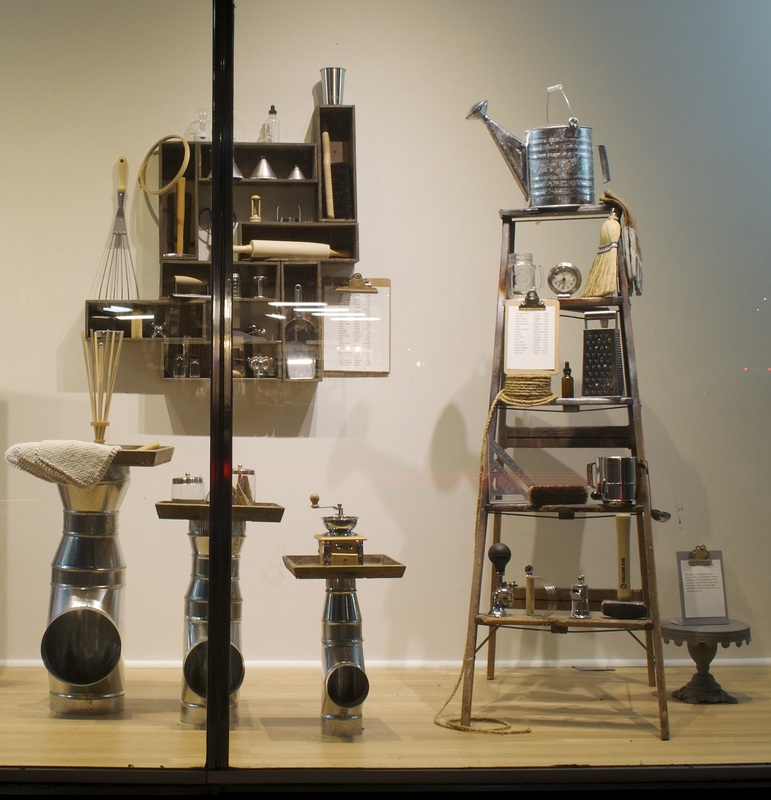 Hardware Retailing (HR): How did you get started designing window displays? Noelle Nicks (NN): I began working at Cole Hardware part time stocking shelves. This led to remerchandising areas of the store, and eventually Cole Hardware’s owner, Rick Karp, asked me to do the window displays. I don’t have any formal art training, but I did take an art class in college. My degree is in engineering, so fortunately perspective drawing was part of the coursework. Otherwise, I would have received a solid C in that art class. 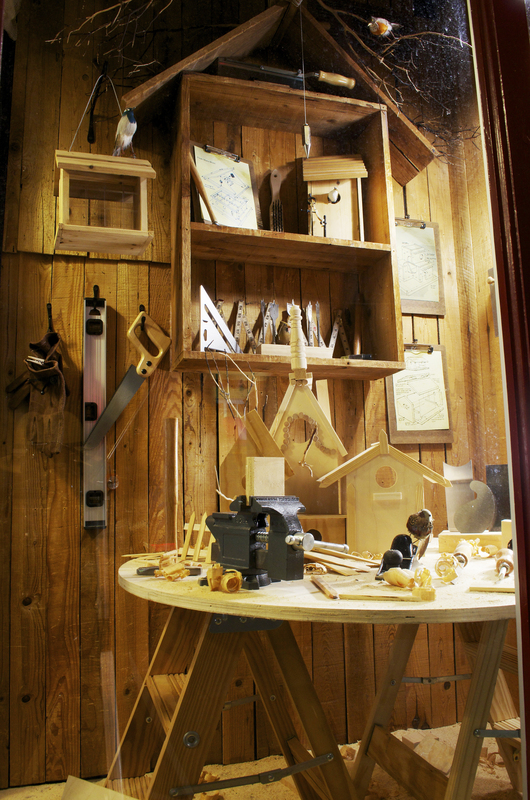 You don’t need to be an artist to design and build window displays. Everyone is creative. It’s just a matter of experimenting and finding your niche. 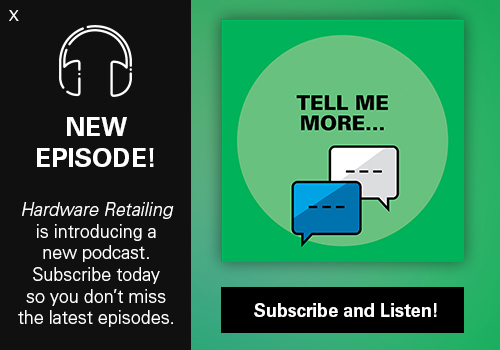 HR: Do all of the Cole Hardware locations use window displays? NN: Four of the six stores have actual room-type window displays with a door, for a total of 12 windows. I’m working on improving the displays in the other two stores. I create a different window display at each store, but I rotate the displays throughout the business. We switch out displays every six to eight weeks. 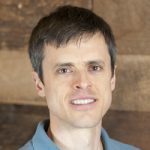 HR: How long does a typical display take to build? 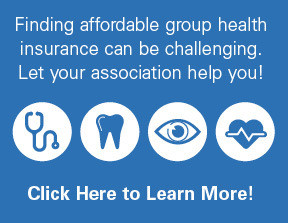 NN: On average, three to four days. It depends on how intricate I’m making the display. Think of it as redecorating a room in your house. Surprisingly, window displays also require a whole lot of cleaning. It takes an entire day to empty the previous display, clean and repackage the merchandise, enter those items back into inventory, wash the glass, change the lighting, mop the floor and replace the backdrop. HR: What percentage of the items come from the store? NN: About 95 percent, which surprises people because they often don’t realize that Cole Hardware actually sells so many of the unique and eclectic things in the window. Art pieces displayed in the window are also made from items in the store. The goal is to get people to stop, look and wander into the store. The window display should be an experience, not a store behind glass. For inspiration, I flip through magazines and Google images. If I do have an idea, I write it down immediately, or it’s lost forever! HR: How is the strategy different from creating displays inside the store? NN: Inside the store, you want customers to be able to find things quickly, so merchandise has to be organized and logical. 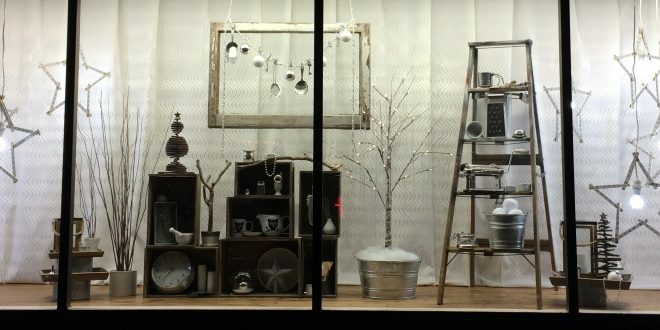 A window display incorporates items from different areas of the store to create a new environment. HR: Do you have a favorite display? NN: I don’t have a favorite display, but I do have a favorite prop: Dave Karp’s ladder. Dave Karp, the founder of Cole Hardware, lived to the ripe old age of 99. His ladder appears in many window displays. HR: How many do you think you’ve built to date? NN: Hundreds. I average 40 to 50 window displays a year. The number of window displays I complete depends on what other projects I’m working on. Even though this is a solo show, I couldn’t do it without the support of the Cole Hardware crew. We have talented graphics people who help build pieces, the warehouse has to juggle my props in small spaces, and the floor crew puts away merchandise I’m no longer using. It’s a team effort, and I am fortunate to have the contributions of many individuals at Cole Hardware. HR: What advice would you give to other retailers who want to create effective window displays? Plan, sketch, and plan some more. The more thought you put into the display, the better it’ll turn out. Being organized and having a well-thought-out plan will make setting up the display easier, too. Make sure you are able to repackage and keep the merchandise in good condition to be able to sell it afterward. Pay attention to detail, including the backdrop, flooring, lighting and levels. Every item has to look like a museum piece.Try not to put merchandise directly on the floor, unless it belongs on the floor, such as a dog dish. Items appear less valuable sitting on the ground. Put a price list in the window and incorporate it into the design. This way, passers-by (and the store crew) know the SKU and price of each item. 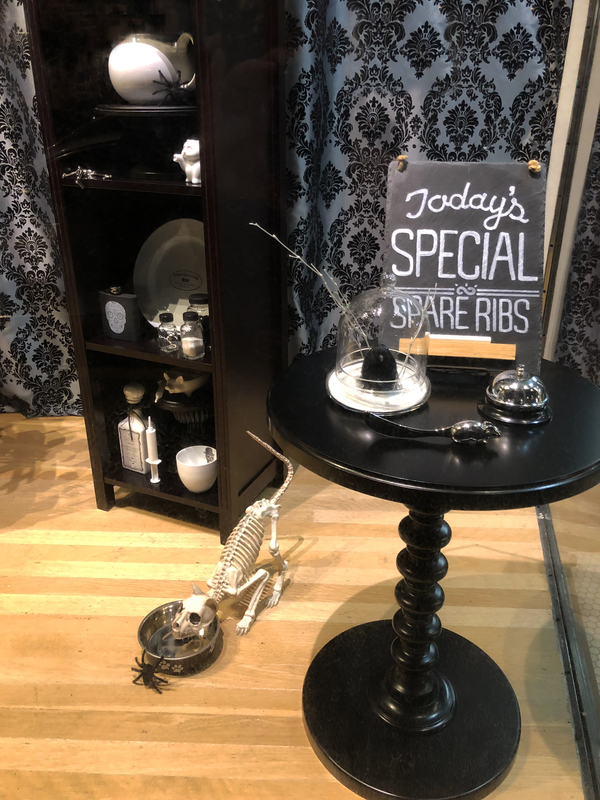 Finally, be sure to put a little something in the window display for kids, something whimsical and at their level, whether it’s a toy lizard peeking out from behind a plant or cat toy mice in a toy car. You have to appeal to all audiences. After all, children are your future customers.